I've been using the older pattern Cooper S/T for years and managed 75,000km from them. WILL THE LATEST COOPERS TOP THEIR OLD TYRES? While there will not be a complete range of sizes available initially, further A/T3 sizes will be released in the second half of 2011 and S/TMAXX thereafter. The A/T3 will be available in the following limited sizes and backed with a mileage warranty of up to 90,000km (conditions apply): LT245/70R16, LT265/70R16, LT265/65R17 and LT275/70R17 – all of which are 10 ply. The S/TMAXX will be available in the following sizes: LT225/75R16, LT235/85R16, LT245/75R16, LT265/75R16, LT285/75R16, LT265/70R17, LT285/70R17 and LT275/70R18 – all of which are 10 ply. For years we've been giving the old design Cooper S/T pattern a right royal flogging on everything from sand, long distance gravel and rocks as well as commuting to and from the office, and long distance black top runs. We’ll give you an update and comparison on the new designs ASAP. 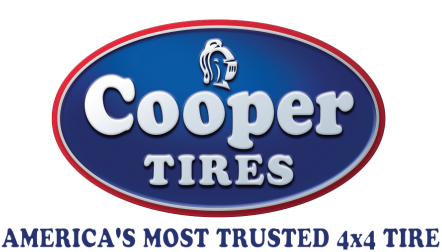 Let’s get one thing straight eh - the spelling of ‘tire’ is how the Cooper Tires fellas spell their company name – it’s a Yankee thing. We here in Oz spell it ‘tyre’, so you’ll see both versions here… geddit… goddit… good. The old S/T and ST-C patterns will be rolled into one new tyre – the S/TMAXX which is designed for more demanding off-road use while still offering high on-road characteristics (claimed to be 60 percent road and sand / 40 percent dirt and mud). The old ATR pattern will be replaced by the new A/T3 which is designed for those that do the occasional 4WDing but spend more time on-road (claimed to be 70 percent road and sand / 30 percent dirt and mud). But, the changes are much more than just skin-deep tread pattern changes; this release is far more reaching than just a new-look marketing exercise. No siree, these two new tyres have been totally re-built from the ground up, including different materials, different construction methods, different technology as well as different internal and externals designs. The only easily-picked-resemblance from the old to the new would be the Y-block tread design of the S/T being incorporated into the new S/T MAXX, other than that, the two new Coopers are innovative, modern and up-to-date in all aspects. One hidden design feature of the S/T MAXX that should excite many is the inclusion of the companies Armor-Tek3 (as currently used on their STT tyres – a dedicated mud tyre) which incorporates a 3-ply carcass that is said to add 66 percent strength to the sidewall, plus an 8 degree angle cover ply that reputedly adds more than 2.5 times more tear resistance. The S/T MAXX now includes ‘Super Tensile Steel Belts’, which (again) reputedly is 15 percent stronger with regard impact and puncture resistance. The aforementioned Y-block design has been revamped and optimised with regard draft angles, plus the inclusion of micro-gauge sipping (within the main tread blocks), stone ejector ribs and offset, stepped tread all helps to reduce stone retention, reduce on-road noise and increase on-road traction. Coopers have also added a rim protector to help deflect objects away from damaging the sidewall, plus the alternate scalloping of the shoulders lugs helps to clean the tread and enhance off road traction. 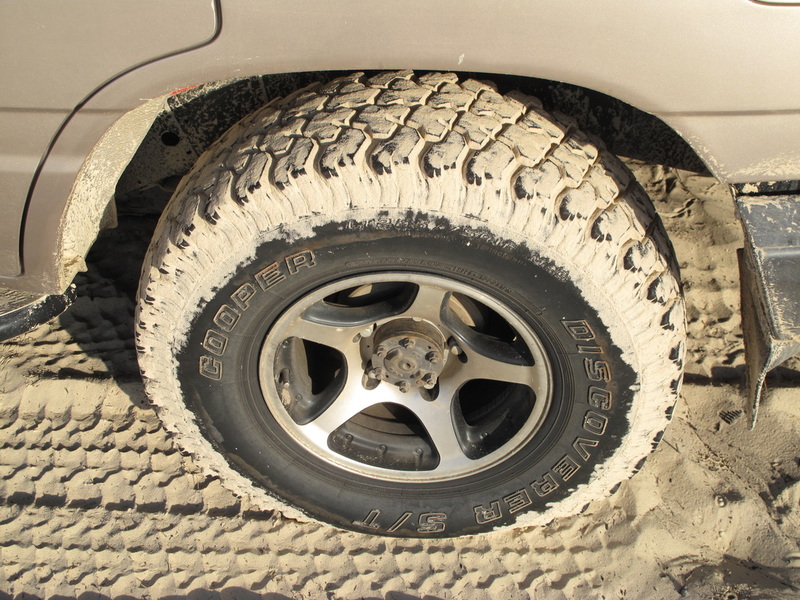 Another attribute that cannot be seen by the naked eye, but one that will become apparent over time is the inclusion of a chemically bonded silica tread compound, which is said to improve wet road traction and handling on the black top, as well as improve the cut and chip resistance on gravel roads and rocky tracks. Although a more on-road all-terrain-type of tyre, let’s not forget the A/T3. Having been totally changed in looks from the ATR, the new pattern features the same higher tensile steel belts as the S/TMAXX, as is the chemically bonded silica tread compound and micro gauge siping. The A/T3 also incorporates higher cord strength sidewalls (from 1500 denier to 2000, making it 33 percent stronger), saw tooth grooves (to enhance self-cleaning), lateral groove protectors, a 5-rib design and a broken centre rib to enhance soft surface traction without reducing on-road handling. What is also impressive is the amount of testing that has been undertaken – some of which was done right here in Australia. The American designers flew prototype and final design tyres over here, fitted them to Australian 4WD’s and drove them through southern and central Australia. HOW GOOD WILL THEY REALLY BE? What with all the real-world testing Cooper undertook in Australia and around the globe, in combination with their high-tech facilities and listening to what Australian testers needed / wanted in a tyre and adapting the design and manufacture to suit; the two new designs should appeal to the masses and be a step up from their currant well-regarded all terrains. The proof will be in the pudding though, so as soon as these new tyres are available, we’ll throw a set on and test ‘em for ourselves. Stay tuned.